As a business owner or manager, you understand how important it is to keep your building’s exterior clean and well-maintained. While you may put a lot of effort into making this happen, graffiti can spring up on your building overnight, ruining all your hard work. will get rid of all signs that the graffiti was ever there. While you could attempt to get rid of the graffiti on your own, simply using water and a scrub brush won’t do the trick. building’s façade won’t get damaged in the process. In addition, we guarantee a 24-hour turnaround time so that you don’t have to deal with a graffitied façade for longer than necessary. 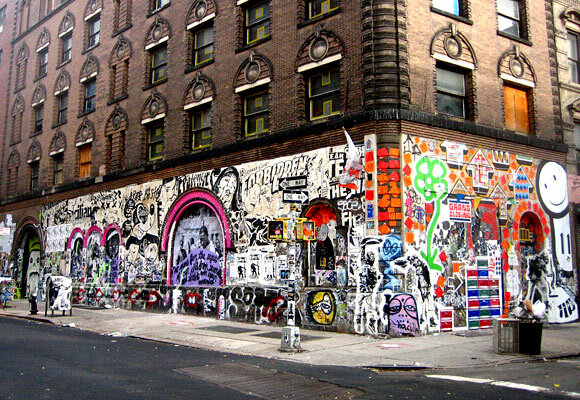 our graffiti removal services will restore the curb appeal of your New York City, NY, building and leave it looking the way you want. Our team is professional and reliable, and we take great pride in helping our customers keep their buildings beautiful. for the time and materials we use on your building. thoroughly, and cost-effectively. Don’t let graffiti damage your building’s attractiveness any longer – contact us today.